I first discovered the Chunky, completely be accident, when I was here in 2009. I was at the store and needed something sweet to go with dinner, and I picked one up without really thinking about my choice. 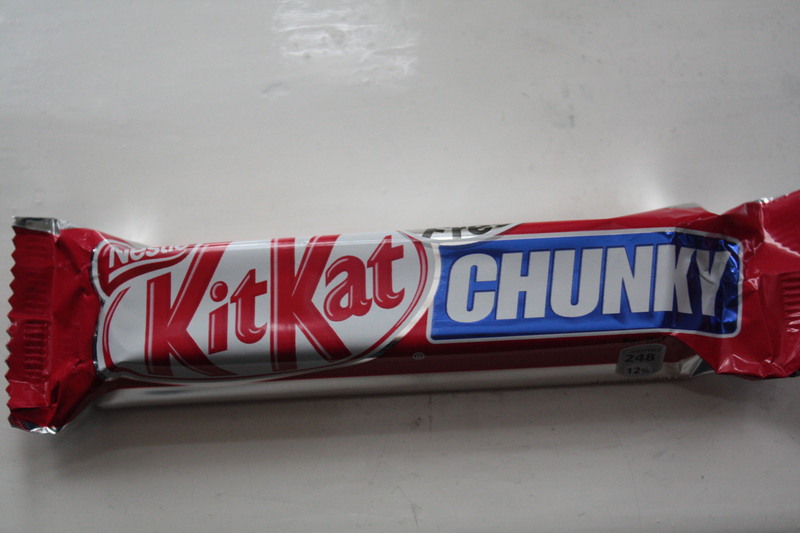 I figured it would taste more or less like a regular Kit Kat….but it was SO MUCH better! The chocolate is creamier, and the wafers taste a little more like cookies. I brought a few home with me last time so my family could come to know and love the Chunky as much I do….but none of them made it out of my apartment alive. 😛 There’s also a caramel version, but it’s kind of all about the original for me. Cadbury ain’t just for Easter over here…you can find their products all year round. I HAD been seeing more Cadbury in the U.S. in recent months, particularly since the company was bought by Kraft, but it’s still more expensive and difficult to get Cadbury in the states than it is here. Dairy Milk is their standard, plain chocolate bar. 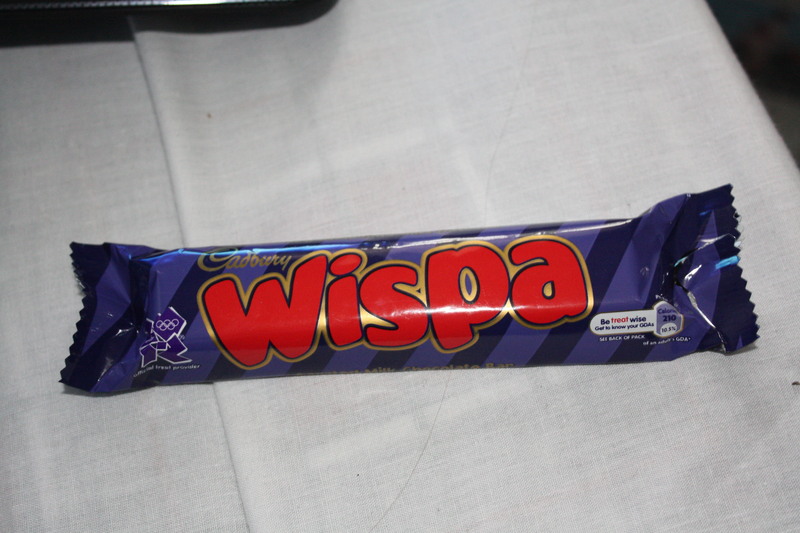 It’s very thick and sweet and creamy….almost too much so. Basically, it tastes like one big lump of Cadbury Creme Egg shell. 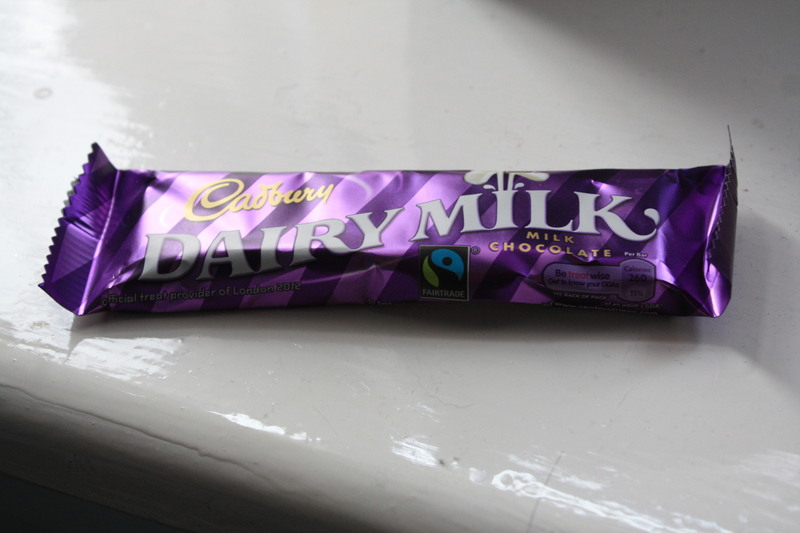 Personally, I think that stuff is better in small quantities, so I wasn’t in love with the Dairy Milk. If you like your chocolate a bit richer than what you’d get from Hershey’s (think Dove), you’ll probably like this. 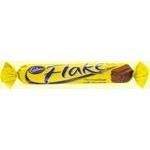 The Flake is yet another Cadbury product, and yet another candy bar that I tried in 2009. Picture a regular milk chocolate bar rolled out until it’s thin and flat. Then, pretend that someone comes along and rolls it up into a crinkly tube shape. That’s the flake. When I had my first one in 2009, I wasn’t impressed. It didn’t seem nearly sweet enough, I didn’t like the crumbly consistency, and it tasted a bit stale. I gave the Flake another try this time, and my opinion improved a little (I think I got an old Flake before). The taste is decent, but I still don’t like the way it crumbles. 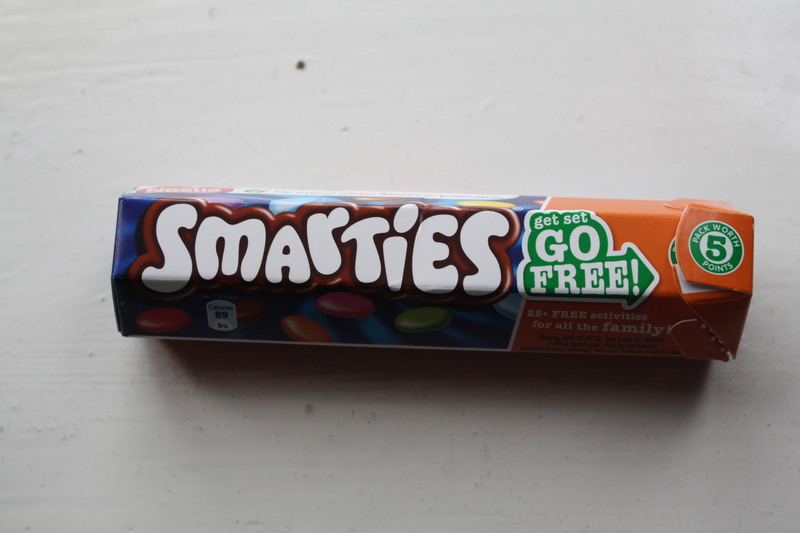 British Smarties are NOT the same thing as American Smarties; British Smarties are more or less M & Ms. Same size, same shape, same candy coating over milk chocolate. The taste is a bit different, though; not better, not worse, just different. The candy coating is different here, too. The colors are paler, and I’m told that this is due to an uproar awhile back over food dyes. Also…maybe I’m crazy….but I think the candy coating has a flavor of its own, and the flavor is different for each color.